Travis Hartshorn served himself a pile of money by winning the $2,700 Borgata Fall Poker Open Championship for $302,978. 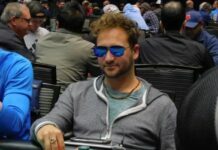 Hartshorn defeated a field of 489 entries in the event, which ended Wednesday night after a heads-up battle with David Johnston that lasted about six hours. 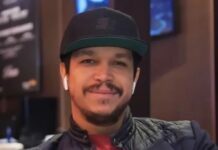 The cash is worth nearly double Johnston’s previous live poker tournament earnings of about $160,000. The event carried a $1 million guarantee and managed to surpass that total with a prize pool of $1,222,500. With 489 entries, there would be 45 places paid out. Come, Join the Live Action! Among those making their way to the money but falling short of the final table were Allen Kessler, Matt Stout, Christian Harder, Paul Volpe, Mike Wang, Tom Cannuli, Tyler Patterson, Mark Herm, Jack Duong andDavid Vamplew. Next articleHow Much Money Do Poker Players REALLY Have?